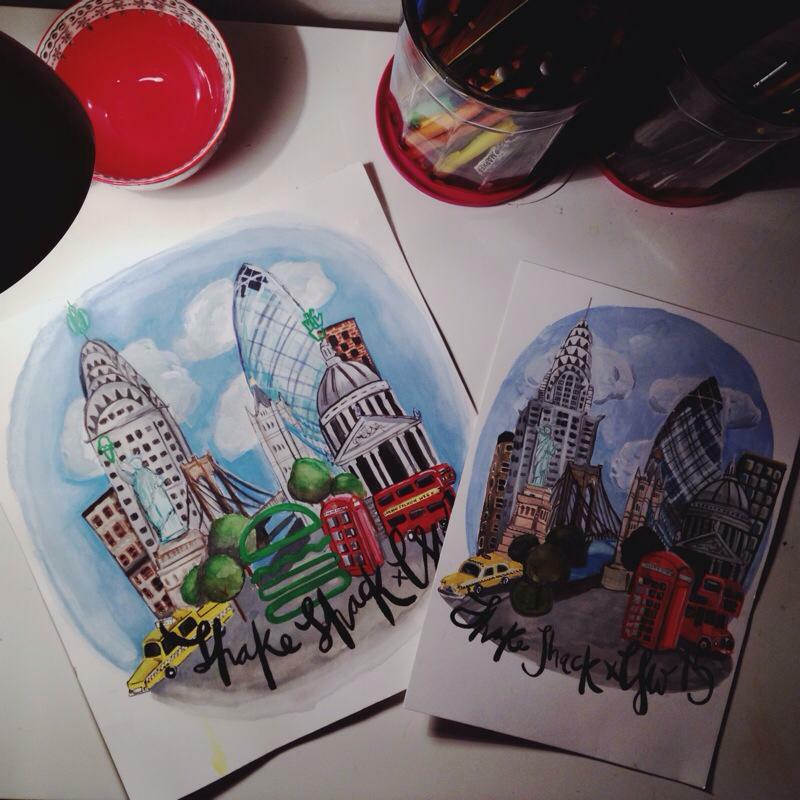 I recently had the wonderful opportunity to team up with Shake Shack to create a piece inspired by my city illustrations that fused London and New York together for London Fashion week 2015. It was a great learning process, and a challenge to get the two cities looking seamless sitting side by side. Above are the two designs I created for them, all my art work is hand drawn and edited in also all by hand, so pleased with the final outcome. 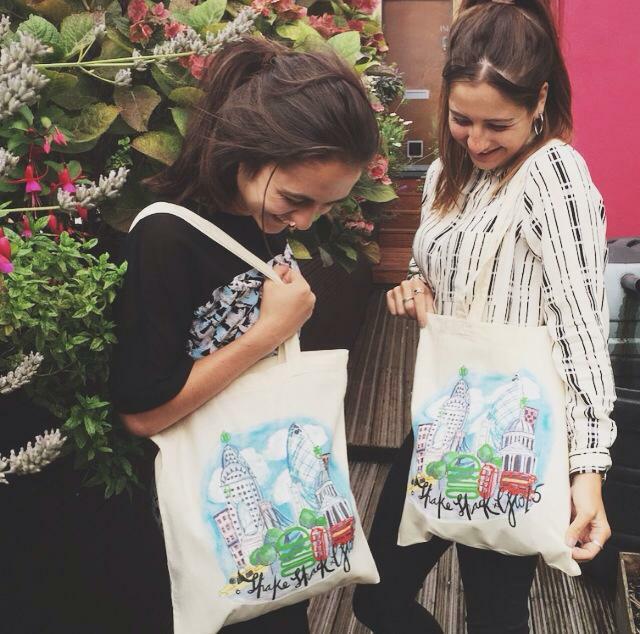 The only way you can get your hands on a tote is if you pop in to the Covent garden or Stratford shacks here in London from Friday 18th, There is a limited run so snap them up.